Willian H. Walling helped organize Company D (16th Regiment) in Gouverneur, and was wounded at the Battle of Salem Church. Colonel Walling moved with his family to Potsdam in 1874, where he engaged in the hardware and building material business. On March 28, 1892, Colonel Walling received notice from the War Department that he had been awarded the Congressional Medal of Honor for gallantry in action at Fort Fisher. George L. Eastman helped recruit Potsdam's Company B, and left as one of its lieutenants, and was later promoted to Captain. He was one of the brave officers of the Regiment, but unfortunately he contracted typhoid during the War. He was very ill and never quite recovered his health. 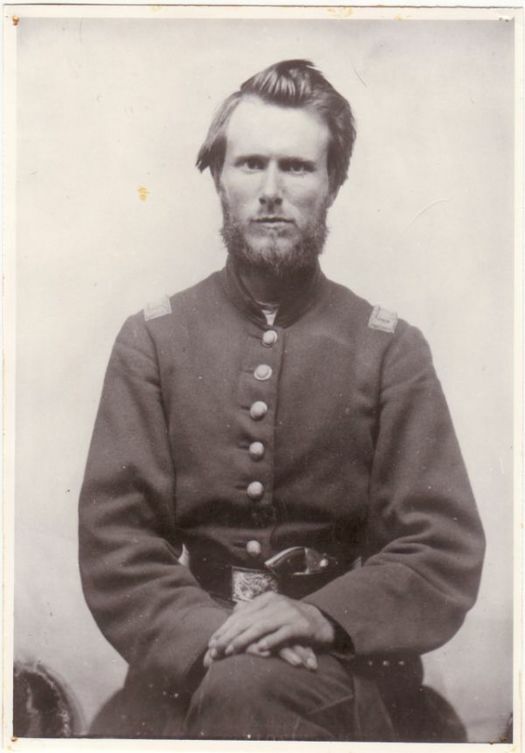 After the first battle of Bull Run, Captain Eastman was cited for exemplary conduct in reorganizing his Company and saving the ammunition train. At one time, he was a prisoner of the Southern Army. He was discharged on October 9, 1862, because of poor health, and returned to Potsdam. 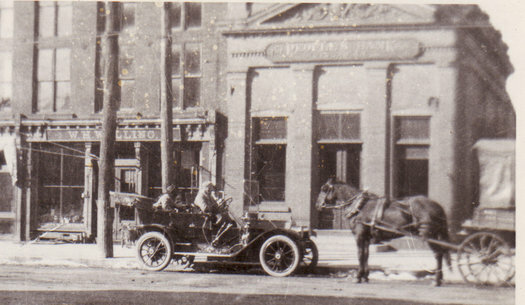 He became one of the town's leading citizens, and was postmaster at the time of his death in 1891. Warren Gibson of West Stockholm helped organize Company H from that area. 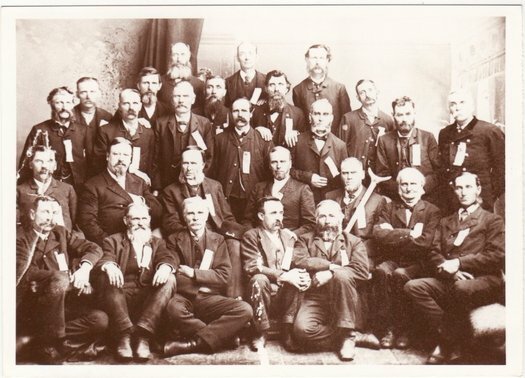 When the Company was formed, Gibson was chosen its captain. On may 3, the women of Stockholm presented a flag made by their own hands, and on May 4 the men left for Albany, via Rouses Point. During the battle of Gaines Mill, Captain Gibson was struck by a musket ball near the outer corner of the right eye, which destroyed the eye. This bullet went through the head in such a manner that the optic nerve of the other eye was severed and he was totally blind. When the word reached West Stockholm of Captain Gibson's wound, his oldest son, George Gibson, who was then 17 years old, made the trip to Richmond Virginia, alone, to bring his blind father home. Wilson Hopkins was he First Lieutenant of Company B when it left Potsdam. During the first battle of Bull Run he was wounded slightly on the foot. When he came home on sick leave, he opened a recruiting office on Raymond Street and signed up additional men for the Company, and also recruited the regimental band. When Warrent Gibson, comander of Company H was discharged because of wounds suffered at the battle of Gaines Mill, Hopkins was promoted to Captain and took command of Company H. He was mustered out with the Regiment in May, 1863. Frederick C. Tapley, a native of Massachusetts, took command of Company B when James C. Pomeroy resigned on July 6, 1861. He continued in this copacity until the Regiment mustered out. Following the battle of Gaines Mill when the weary soldiers were retreating, the story is that Captain Tapley, "having seen not far distant a few empty ambulances, left his command and ordered them to the spot where the wounded of his Regiment were located. When he found a member of Company B or of the 16th, he tenderly placed him on the board the ambulance, and three, at least of the number, still live, owing their lives to his prompt and humane action." Edwin C. Knapp left Potsdam as sergeant of Company B. He distinguished himself in battle and was promoted to Lieutenant on December 17,1862. When the Regiment was mustered out, he accepted a commission as Captain with the 193rd Regiment, New York Volunteers. 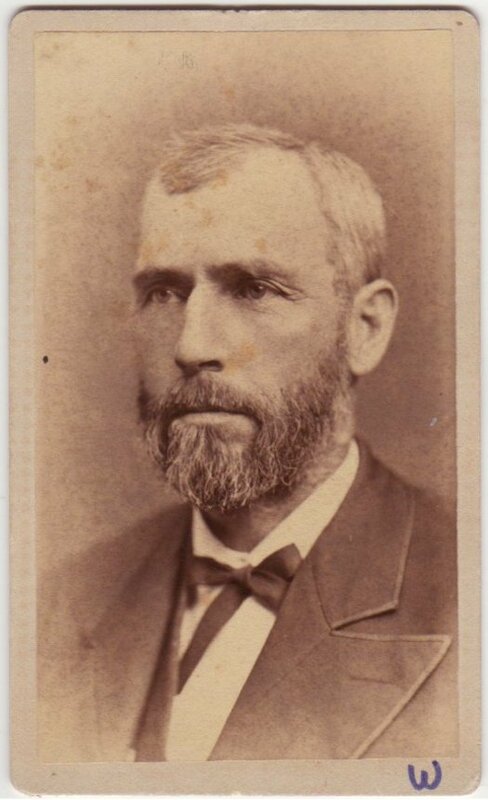 Captain Knapp lived in New York City after the War. 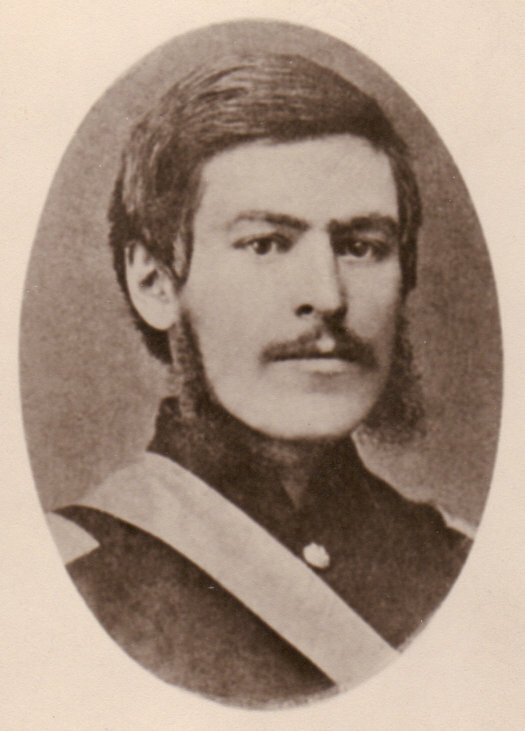 John C. Gilmore was a student at St. Lawrence Academy when the 16th Regiment was organized in April, 1861. He and John A. Vance, another student, recruited Company F. Gilmore was named Captain of the Company when it left Potsdam. When he was promoted to Major on December 17, 1862, and took a staff position with the Regiment, the command of Company B was taken over by Captain Henry T. Sanford. After the Regiment was mustered out in May, 1863, Major Gilmore was appointed Lieutenant Colonel of the 193rd Regiment, New York Volunteers. He later entered the Regular Army, from which he retired in about 1900. He was promoted to Brigadier General during the Spanish-American War. John A. Vance, a student and part-time teacher at St. Lawrence Academy, helped organize Company F, and left with the Company as its First Lieutenant. In the Fall of 1861, Lt. Vance was detailed to the Signal Corps and remained there during the two-year term of the Regiment. He was mustered out with the Regiment in May, 1863, and returned to his study of law.He was admitted to the bar in 1864. Lt. Vance was a prominent lawyer in Potsdam, and was elected surrogate judge of St. Lawrence County in 1892. He was a member f the local board of the Normal School and an elder of the Presbyterian Church. He died in 1899. Other officers of the 16th Regiment included Henry T. Sanford, a grandson of Jonah Sanford, who returned home as Captain of Company F, and who lived in Hopkinton after the War. William E. Hasselgrave of Company B, who was killed at the battle of Salem Heights, Virginia, in May, 1863; and Lt. William H. Helmes, who was later with the 14th Heavy Artillery, and who became a Methodist minister in the St, Lawrence Conference at the War.